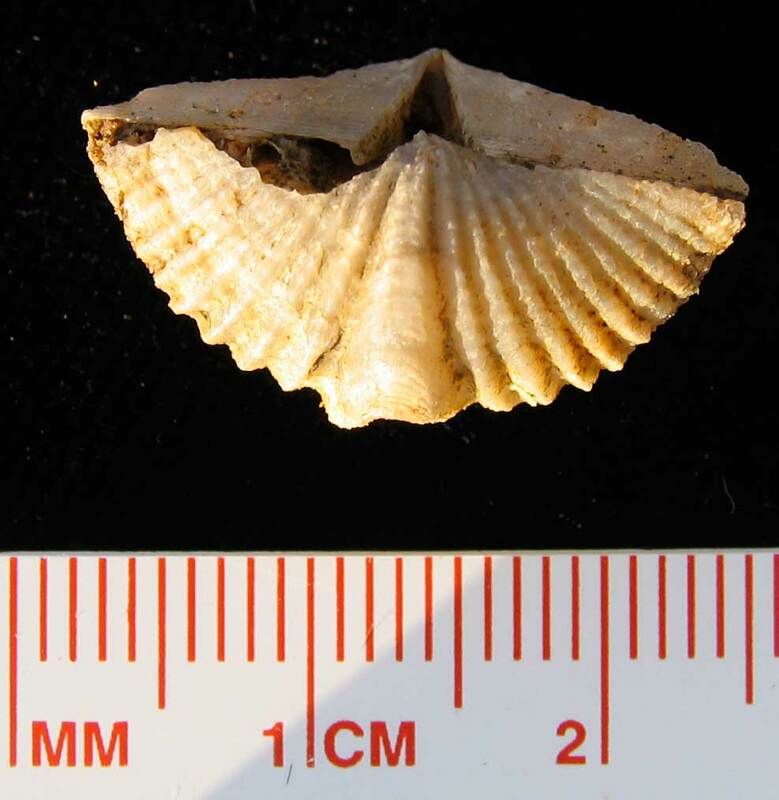 Spirifera vericosa brachiopod found in Jeffersonville Limestone of Clark County, Indiana. Animal existed in the Devonian period. 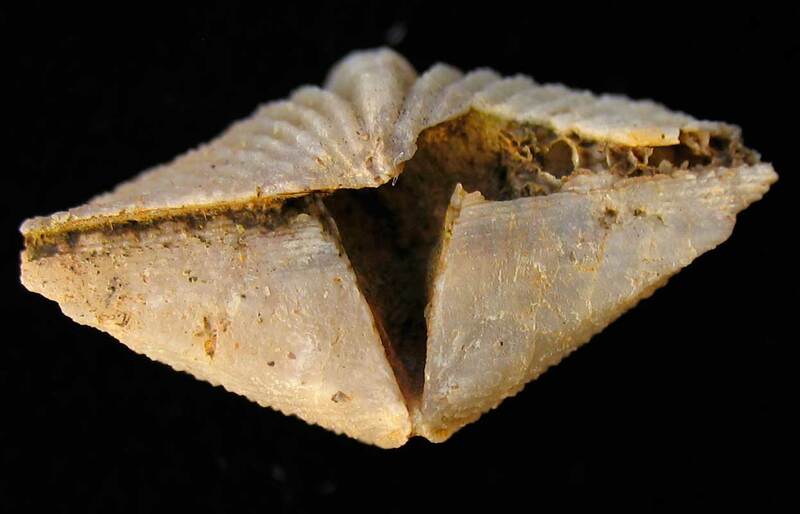 These small but well defined brachiopods are sometimes used in jewelry. 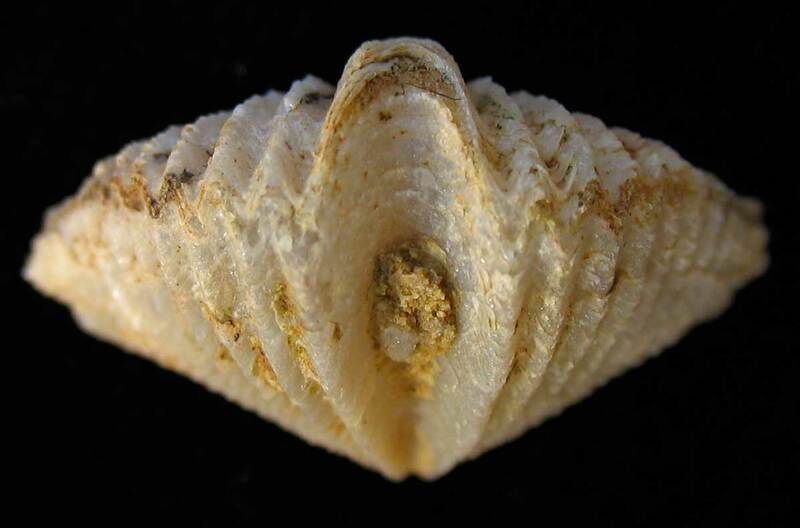 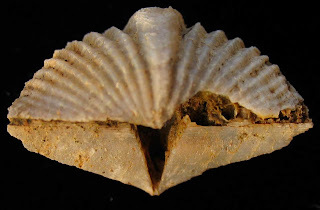 UPDATE: I changed the identification of this brachiopod from Mucrospirifer to Spirifera.